Now, parents can get the school information they want and need via their smartphone. It’s fast to set up and simple to use. eduApp is available for iPhone and Android. Push messages are one-way notifications sent to you via your smartphone. Simple features such as click-to-call and click-to-email through the App speed up contact between the school and parents. 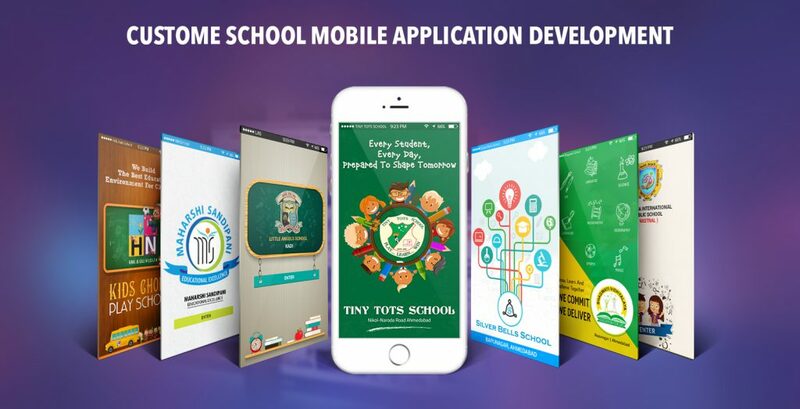 With many years experience in app development, we have built apps for schools. Having a mobile app for your school will hugely improve communication between all of those people within your community. A purpose built app will allow you to engage with parents, staff and your community on a regular basis meaning all App users can be instantly informed of anything exciting, important dates, news or special forthcoming events. Contact our sales team at info@arthinfosoft.in or call us at 972-773-5599 to get a customized price quote for your school.